It’s no secret that Brooklyn has a crime rate above the national average. If you’re like us, you truly appreciate the area, but you also need to keep yourself safe from break-ins and theft. Many homeowners in Red Hook have chosen to install security cameras. We know, because we’ve helped many of them. We’re happy to share with you a few concerns that our other Red Hook customers have had when it comes to installing a new security camera system in their homes. Most Red Hook residents deploy new home security systems for the same reasons. These reasons include the protection against theft, a deterrent to break-ins and to check on care-givers, domestic workers and babysitters. What are some of the most popular security camera systems for Red Hook households? We’ve done extensive research and testing on security products from digital cameras, remote access equipment to surveillance computers and recording instruments. Those that routinely perform best are Samsung, Bosch and Sony. These are the three brand names M&D installs the most. In case you currently have another brand, we can service or update it for better performance.Check with us to be sure. 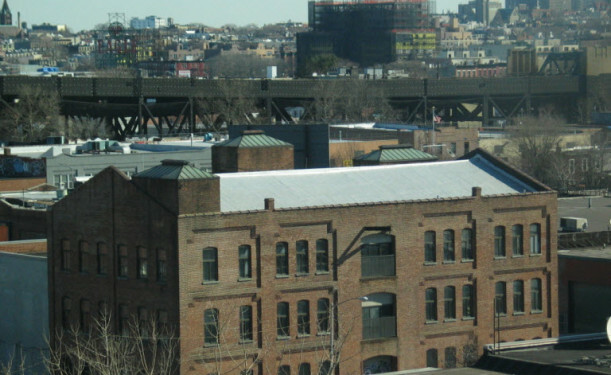 IP or network cameras are very popular among Red Hook homeowners. They permit surveillance from almost any device and can integrate a number of other capabilities such as remote surveillance, wireless technology and multi-viewing. You’ll be able to monitor your home from anywhere as long as you have a computer or other hand held device with internet connection. We’re big fans of Dome cameras. They’re better looking, not intrusive and offer a broader scope of surveillance. If you’ve been to Atlantic City or Coney Island inns you’ve likely recognized the dome shapes protruding from the ceiling. The contour helps make it an attractive choice for those wanting a maximum view without the protruding arm of other cameras. Fake models are often used as primarily deterrents and are nothing more than the camera covering. Dome camera housing is typically used for imitation cameras. These systems are usually used by people who can’t afford an actual surveillance system, yet still want a deterrent for potential trespassers. They come with blinking lights and are indistinguishable from legitimate cameras. Outdoor units are strong and able to withstand intense temperatures. The lenses are often made with fog resistant glass so moisture doesn’t impair the scene. They are often pointed in one place and possess limited range. Higher end systems can usually rotate their direction, but the majority of cameras are still and need to be adjusted physically to change camera angles. With infrared technology, night vision cameras will allow for you to observe an area even though it may be completely obscured by darkness. These types of brands can now be used in both day and night, enabling more dependable surveillance. Wireless security and remote access equipment is increasingly popular among our Red Hook clients. These devices are perfect options to avoid long cables, drilling and damage to your property. Covert and hidden systems may take on the look of a smoke detector, stuffed animals, nic nacs and even tissue boxes. We typically recommend that your security cameras be exposed to everyone, however. It’s always better to avoid break-ins and unwanted entry whenever possible. Auto sensors and motion detectors can be added to your home security system to help you save energy and digital storage space. Moreover, many sensors will alert a security company. Several Red Hook residents have their sensors configured for fire, smoke and hazardous chemical compounds as well. Speak with your security professional to find out which options are best for your needs. Security systems have become much easier to manage in the past few years. Be sure that your installation specialist goes through each function with you until you are confident with its operation. How can I install my cameras? It would be very irresponsible for us to give advice about where to put your cameras with no knowledge of the precise area you wish to observe. We come across many installs that are partially complete or were done incorrectly because the client purchased their unit at Walmart or Target and not from a home security systems professional. We don’t fault anyone for wanting to spend less, but home security is way too critical not to be done properly. Your system cannot be properly installed without the tech on site. Knowing just how to set your camera to attain max visibility, eliminate glare and act as a deterrent is the work of a trained expert. How effective are camera systems? The office of Homeland Security asserts that video security cameras have been shown be quite effective, but only if installed properly and used effectively. Set it up yourself and you risk thieves hacking your system and slicing wires. Burglars can usually find a system that was not put in by a specialist. We’ll say it again, be sure to use a expert installation specialist, even if it’s someone else. Don’t risk the safety of your family by taking shortcuts. Call M&D at (718) 484-4050. We’ve got years of experience not just in home security, but in your neighborhood as well. We’ll make sure to install one of the top three brands; Bosch, Samsung or Sony. Your new security camera system will also be thoroughly tested and functional after the installation is finished. As you are researching, look at both black and white as well as color models. There could be a substantial price cost savings. The level of available light in an location could help you make a decision. Dimly lit areas in addition to those with a higher degree of variable light will usually do better with black and white. Color ought to be used for indoor security cameras. Selecting the proper resolution for your monitors is important. The greater resolution, the sharper your images are going to be. Low resolution can be less expensive, but aren’t good for detailed facial or feature recognition. It’s quite important to ensure that all your instruments work together. It’s usually not a smart idea to combine manufacturers unless you know which of them work effectively together. What can I expect to pay for a system set up in Red Hook? That’s the only question here that’s difficult for us to answer without knowing more about your situation. We’ll have to know several things first such as: What are your security aims? How many rooms do you want to monitor? What is the square footage of each area to be monitored? Do you need indoor or outdoor cameras? How sophisticated would you like your new security camera system? Can you use 24 hour surveillance, partial surveillance or motion detectors? If this all seems too much, don’t worry. Call us at (718) 484-4050. Our specialists are extremely great at making home security fun and easy. Helping Brooklyn consumers keep safe is what we do best. Security camera systems are only one way to protect your home from robberies and intruders. Be sure to ask us about our alarm systems and specialty locks for your doors, windows, gates and garages. We’ll do a complete property inspection and tell you where you are vulnerable. And we always suggest participating in a good neighborhood watch program. Mindful neighbors can do a lot more to discourage burglary than just about anything else. Finally, consider getting a dog. They’ll get used to an urban setting quite easily and are outstanding protection against the bad guys. Give us a call at (718) 484-4050 for your home security review today.